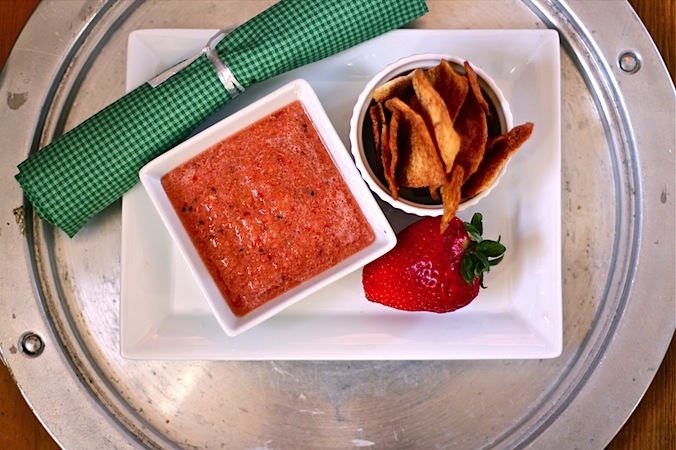 If you’re looking for a fun snack or appetizer for kids and adults, this is it! 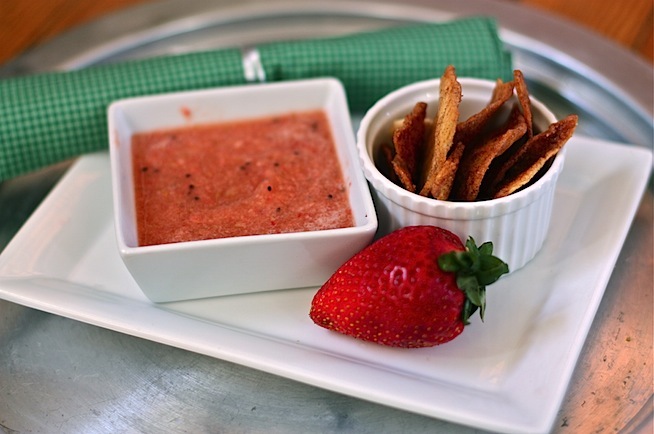 Serve this with cinnamon sugar pita chip and you have a perfect snack. Put all the ingredients in a food processor and pulse away. You can make it as chunky or as smooth as you like. 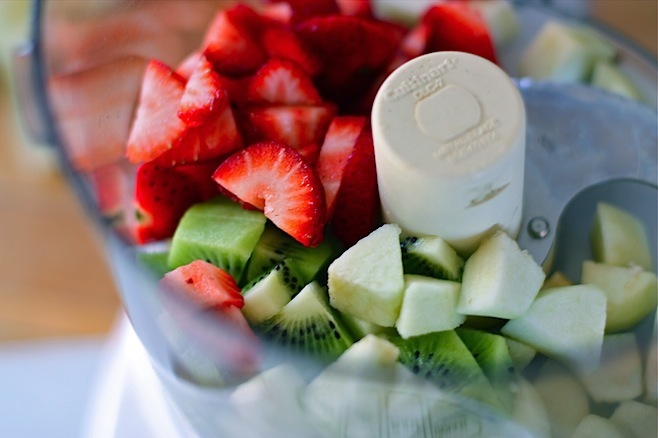 Serve immediately or store in the fridge in an airtight container until ready to serve. 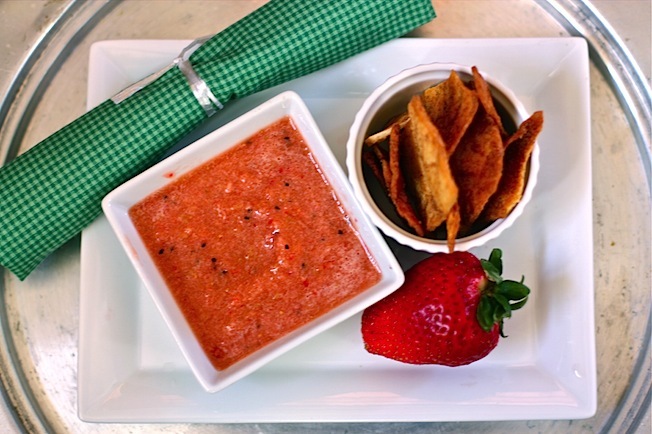 Serve with cinnamon sugar pita chips. My girls loved this so much they barely ate the pita chips. They would dip the pita chip in the salsa and lick the salsa off. And then proceed to double dip, and double dip, and double dip.